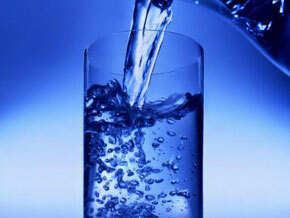 Drinking water analysis is a comprehensive test done to your tap water to determine the contaminants therein. This test can be done by government organizations or by yourself. Water test should be conducted on a regular basis especially if you’re using tap water in cooking and drinking because water contaminants may be tasteless and odorless. Despite the water treatment procedures by providers, the water can get contaminated before it comes out of your faucet. These impurities may be caused by natural occurring deposits as well as agricultural and industrial activities. They may seep into cracked or leaked water pipelines consequently entering your water supply. There are plenty of water treatment devices that effectively remove water contaminants. Unfortunately, even the beneficial minerals are eliminated too. The solution to this problem is to use water filtering systems. The right filtering system is the one that eliminates the contaminants present in your tap water. This is where drinking water analysis comes into play. How does Drinking Water Analysis Work? Drinking water analysis is done by using drinking water test kits. These kits work by filling the vials with water samples and adding a capsule or solution to determine the contaminants found in your tap water. The water specimen will normally change in color corresponding to the type of contaminants present therein. It is very important that you read the water testing kit instructions carefully. Water testing kits will check if your tap water is contaminated with bacteria, E.coli, arsenic and many more. Some tests can also establish the iron content of your water. There is an appropriate drinking water analysis test kit for the type of contaminants you want to check. Top Brands of Drinking Water Analysis Test Kits in the U.S. There are plenty of water testing kits sold in the market and the following are the brands preferred by most households in analyzing tap water. WaterSafe offers a wide range of water testing kits for different contamination issues. Their products are reasonably priced with simple and straightforward testing instructions. Besides, WaterSafe test kits meet the EPA Standards of giving accurate results. They can be purchased from $10 to $25. SenSafe has a wide array of test kits for residential and commercial use. They have complete home water test kit, well water test kit, and E.coli test kit among others. SenSafe drinking water analysis test kit is offered from $10 to $130. WaterWorks provides accurate and quick water test results at very affordable prices. Their testing kits are designed using modern manufacturing processes to test a broad array of water contaminations. WaterWorks testing kits are priced from $8 to $70. Culligan offers 15-minute water testing kits that determine iron, pH level, nitrate and chlorine content of household water. It is offered from $7 to $12. A consumer-friendly testing kit used by public and private health institutions and water treatment firms, PurTest kits are available from $9 to $32. LaMotte testing kits provide simple, accurate and affordable water analysis. They are offered from $13 to $62. Drinking water analysis is essential to determine the water contaminants present in your tap water. When you know the impurities that need to be removed, you can install the appropriate filtration system that eliminates them.